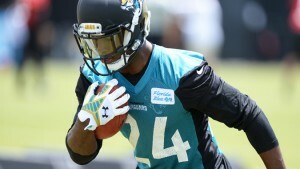 T.J. Yeldon - What Is His Fantasy Football Draft Value? T.J. Yeldon – What Is His Fantasy Football Draft Value? These contributing factors paint the complete picture of a player and should give the best possible analysis to help in deciding when to draft in a snake draft or what to pay in an auction. More Running Back Help: Freeman or Coleman in ATL? T. J. Yeldon is ready to roll. Get on board for fantasy goodness. field, but there is a mix of success and failure with former Alabama running backs in the NFL. Glen Coffee and Trent Richardson have been awful while Mark Ingram broke out last year and Eddie Lacy is one of the premier backs in the league. Yeldon profiles as a similar back to Ingram, Lacy and Richardson. He runs with power between the tackles but is not a burner. One of the main knocks on him has been that he fumbles too much, but in the past this was said of Adrian Peterson and Demarco Murray among others. Coach Gus Bradley said that Yeldon “has great vision; really, really good instincts; great anticipation.” These are some of the main reasons that Yeldon found success in college despite some lackluster speed and burst. The Jaguars are not a perennial powerhouse, but the team and quarterback Blake Bortles made strides last season. Coming into 2015, this is a young offense with a lot of raw talent. There is potential for the Jaguars to become very explosive, but will it be in 2015, 2016 or will they disappoint? Personally, I think that they will be a very respectable offense this season, which will mean good things for Yeldon's prospects. This is one of the most important factors for a running back, having a steady workload is three quarters of the battle for success. The good news for Yeldon is that it appears the opportunities will be plentiful, at least at the beginning of the season. He looks like he has the skills to be an every down back and his pass protection is impeccable, particularly for a rookie. A lot of the time, failing in pass protection is the reason that rookie running backs lose out to less physically gifted veterans. If Yeldon can find some success in the early going, he should be able to lock down the starting job for the season. One factor that should be helpful, including in the aforementioned pass protection, is coming from a pro style offense. Yeldon is NFL ready from the aspect of understanding a playbook. The other thing that I feel good about is that T.J. Yeldon passes the eye test with flying colors. He has the imposing size and heft to handle a big workload if the coach chooses to give it to him. He has not been awe-inspiring in the preseason, but it does look like he is the man from the goal line. Verdict: T. J. Yeldon looks like a solid value in fantasy drafts right now. I think he is being underdrafted based on the opportunities he should enjoy. This is not a Toby Gerhart situation, the Jags offense will not be nearly as dysfunctional and Yeldon is ready to be a starter. Draft Yeldon as your RB2, a feat that should be easily accomplished as he is lasting into round 5 in some drafts. This is like gold, IDP ranks. 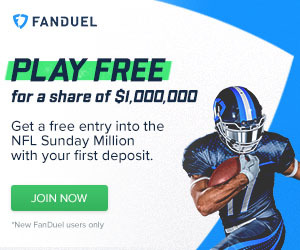 Category - Fantasy Football News and Analysis - T.J. Yeldon – What Is His Fantasy Football Draft Value?